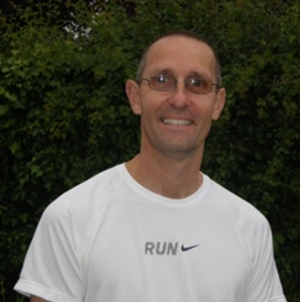 Welcome to Fitness Vitality, run by Keith Molloy. I am based in Kettering, Northamptonshire and offer individual and group Personal Training, Running and Fitness Classes, in Kettering and the surrounding area. Whether you want to get fit, tone up or lose weight, I have a solution to help meet your goals. I have coached people of all ages and abilities and whether you are aiming for your first 5k race or want to achieve a personal best in your next marathon, with the right training, advice and motivation, you can achieve fantastic results. I am a keen runner, a UK Athletics Level 2 Coach and a qualified YMCA Level 3 Personal Trainer. I have been a coach at Wellingborough & District Athletics Club since 2006 and enjoy taking part in cross country and road races. Through this club, I met Melanie Ryding a Team GB Triathlete and I am proud to provide Melanie with coaching for her running discipline. Exercise not only helps with weight control and general wellbeing but also offers relief from the day to day stresses that life brings. Exercise should be fun, sociable and tailored to fit around your lifestyle. I am a member of and fully insured with UK Sports Coach, The National Coaching Foundation. I have seen the improvements from my last intake. Because of the success of this class previously. I have decided that it is time to reopen the window of opportunity to others. This is a pay as you go class, So you don't need to pay out a lump sum and you can afford the other things you have promised yourself. At just £4 a class it is not out of reach ether.